Taking a break from the island farming and organic stuff, I recently joined an adventure trip organized by one of my closest friends to explore this remote part of the Philippines called the Sulu Sea. My Italian friend, who has lived in Boracay for 30 years, is a passionate sailor and explorer. We were sailing buddies from my Boracay days and shared this passion for the sea, among other things in life. On a recent visit to our farm in Negros, we “talked” about a possible trip on his boat for a “few” days, while looking at maps of this place on the internet. We were set to explore the Cuyo Islands, a cluster of around 42 isles with rich marine life, beautiful beaches and quite a bit of history. Ironically, I have been going to North Cuyo for years now tending to a farm in an isolated white sand gem of an island called Pamalican, otherwise known around the world as Amanpulo. Naturally, I always flew to this island from Manila as it was the only way to get there. Or so I thought. I had never been out at sea for over a day and had never lived on a small boat before, although I was never short of invites. 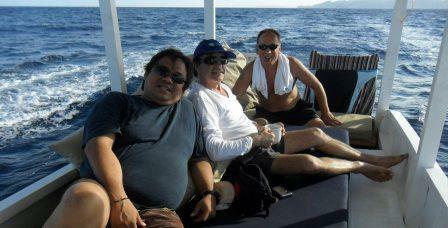 When I lived in Boracay, I was working a project and could not spare the 4 days one would need for a dive safari. This trip was to be one for the bucket list. Something I’ve always wanted to do but never did before. It turned out to be an awesome five-day experience, something we will still be talking about for years to come. I reported to our breakfast assembly promptly at 8am, still dazed from the previous night’s party with some island friends for my birthday. I had spent my birthday travelling 9 hours to Boracay from Bacolod to make this trip and it was great to end it with an unplanned gathering of my island family. Our first day turned out to be the shortest boat ride we were to do for the whole trip. We ended up in Hinugtan Beach, my friend’s private beach 45 minutes by boat from Boracay, the boat needed some last minute repairs so we had to stay the night. I was not going to complain, It was a great day to catch up on my sleep which was the first thing I did when we got there. It was also nice to see the new structures they have built. It is now open for day trips to tourists from the island. And we had this place to ourselves for a whole day, preparing for the long trip early next day. A farmer, a painter, a restaurateur/sailor, an engineer, a mechanic, a cook, a captain and 2 boat helpers. We had an excellent mix of people for this one. beach. We decided to dock in this seemingly quiet island for the night, checked out the isolated beach and the curious lava rocks on the farthest end. As the sun set, we started seeing bright lights around the horizon. Fishing boats with nets attracting schools of fish on a moonless night. Then there were fishing boats coming in and out of the area all night, with blinking red and green lights. Think rave party without music and just engines pumping. The highlight of the day was Paolo seeing whale sharks out in the open sea, when i was dozing off at first class. would search for an island to drop anchor and explore the place, then stay the night. 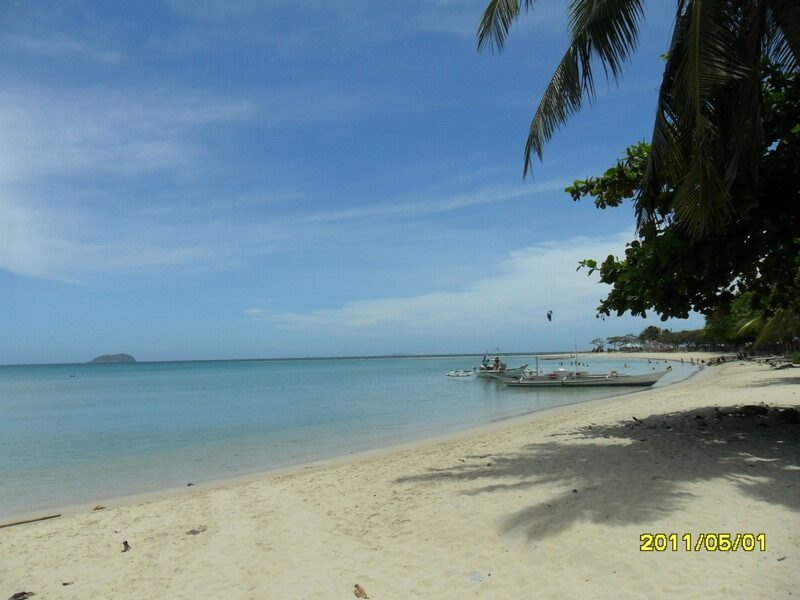 The plan for this day was to go to a beach resort in a place called Quijano in Cuyo Island. As we neared the island , however, we discovered why there was good windsurfing here and naturally, no place to dock. We detoured and went to the town of Cuyo for provisions, gas and water. At this point the plan had changed in the middle of the sea already. Over dinner, my friend Paolo tells me he’s read on the internet about another island called Manamoc in North Cuyo, about 5 hours from the town. He says it was written in this article that this was one of the most beautiful islands in that side of this area. 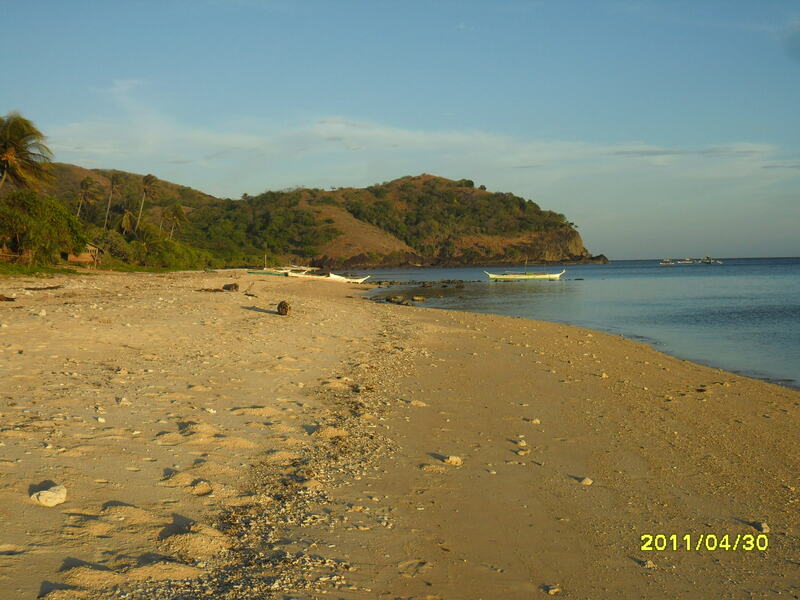 I said I had been to Manamoc a number of times already, it was the island next to Amanpulo. 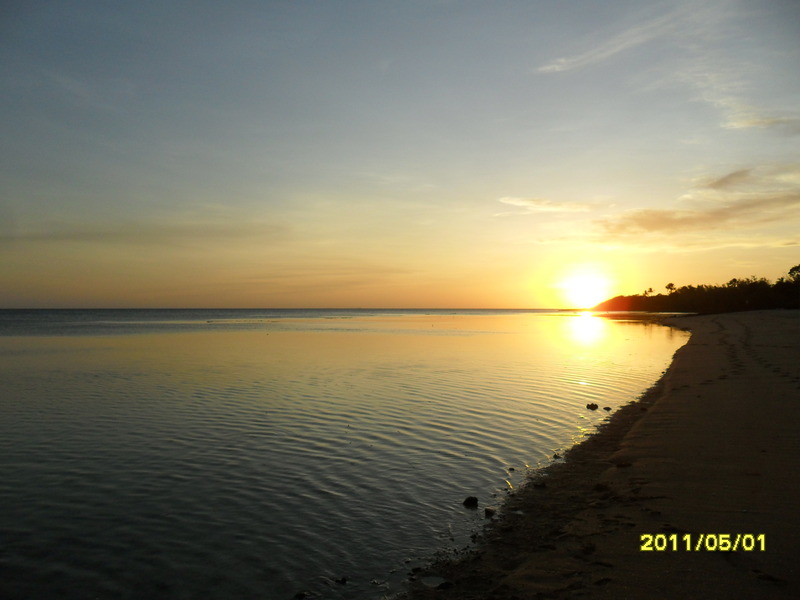 As a consultant for Amanpulo, I worked on their solid waste management system and did a seminar in Manamoc once. 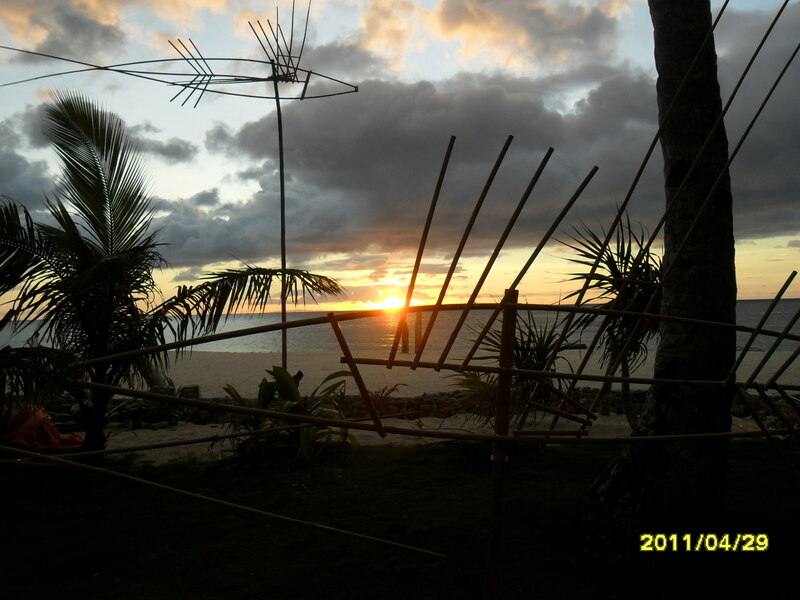 In fact, I knew most of the people in Manamoc as most of them worked in Amanpulo. I was also familiar with these islands, called the Quiniluban Group, as we had done some environmental impact assessments on some of these neighboring islands. 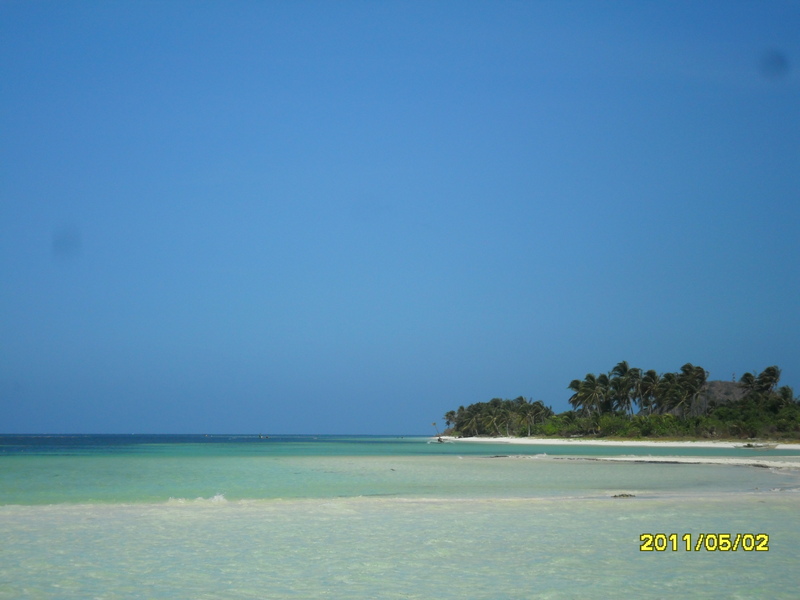 I told him of this huge stretch of white beach in Manamoc where I had been, we were headed there in no time. Cuyo is a such an interesting island itself. With just about over 20,000 people, it is one of the oldest, most remote and unexploited islands in the country. Home to a fort, which shelters a church and a convent in its high stone walls, constructed during the Spanish period to protect its population from Moro pirates, Cuyo has one of the most ancient forts in the Philippines. 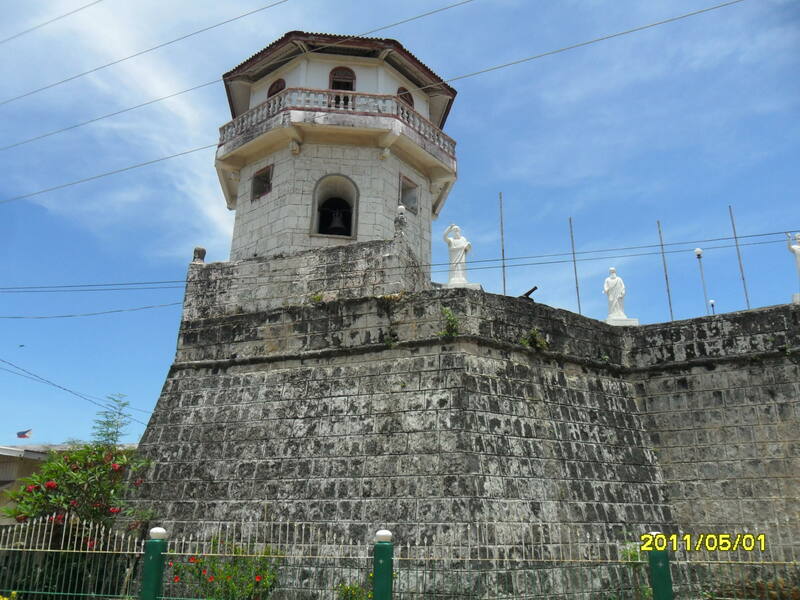 Fort Cuyo was constructed and finished in 1680, to protect this town from Moro pirates. The original complex of stone and mortar was a square with four bastions. The present complex, which occupies 1 ha, is a solid rectangular edifice with walls 10 m high and 2 m thick. It has a tall belfry and watchtowers; its canons, which face the sea, are now fired only during town celebrations. It is considered as one of the most ancient and unique forts in the Philippines. Unique in the sense that you can find the church, the convent and the Perpetual Adoration chapel all within the fort. In 1762 one of the British ships that invaded Manila fired at the Cuyo fort but it was not damaged at all. Another fort was started at Lucbuan seven kilometres away on the east side of Cuyo island, but it was never finished. . More than that, the people are genuinely warm and friendly. In 2005, I hired a woman from Cuyo as our assistant in a project I managed in Boracay. She was one of the most hard-working people I’ve worked with. She also happened to be the neighbor of the tricycle driver so I visited her house. I introduced myself to her mother as she was not around and got a whole sack of bananas and cassava from their own farm as a gift! The woman I hired now teaches at the local university and taking a master’s degree in education. I did see her again for a brief moment just before we departed, naturally catching her by surprise with my presence there. 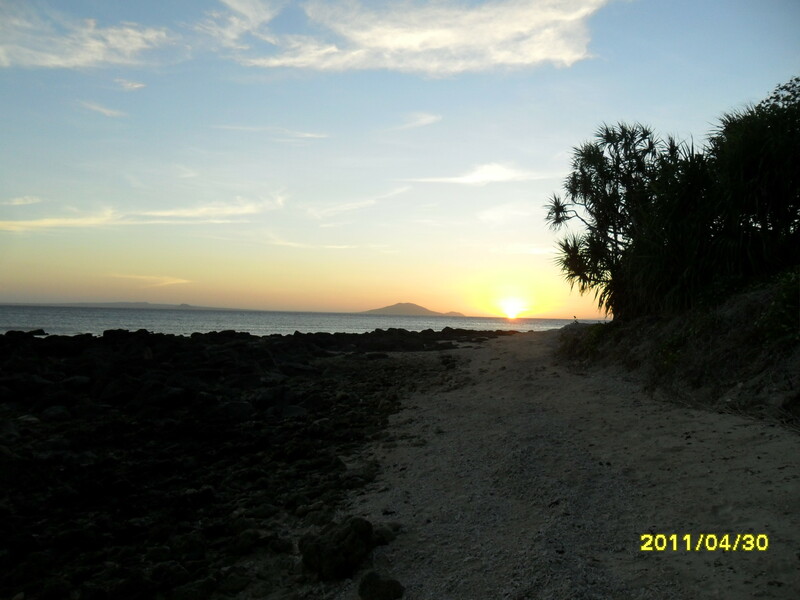 After fresh water showers, some good food and new provisions, we ended the day with sunset in Agutaya Island. another beach with a few people and no name. This was going to be an exciting day for everyone. We were headed for Manamoc Island, would do a short stop in Amanpulo and dock in neighbouring Tayay island for the night, just before the long haul back to Boracay. 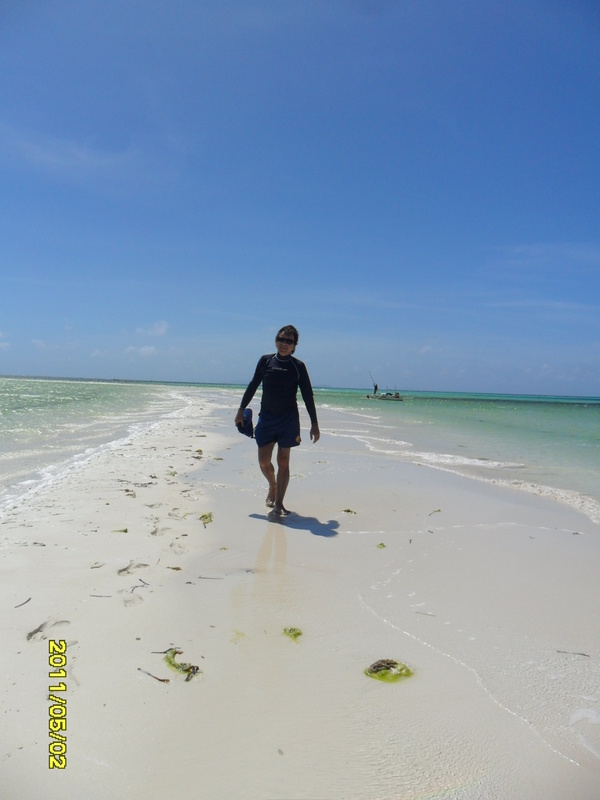 The Manamoc sand bar is indeed one of the most beautiful I have seen. Coming up at low tide, guests of Amanpulo would do picnics here for the afternoon, a speed boat taking them there and a beach umbrella set up together with mats and a picnic basket. 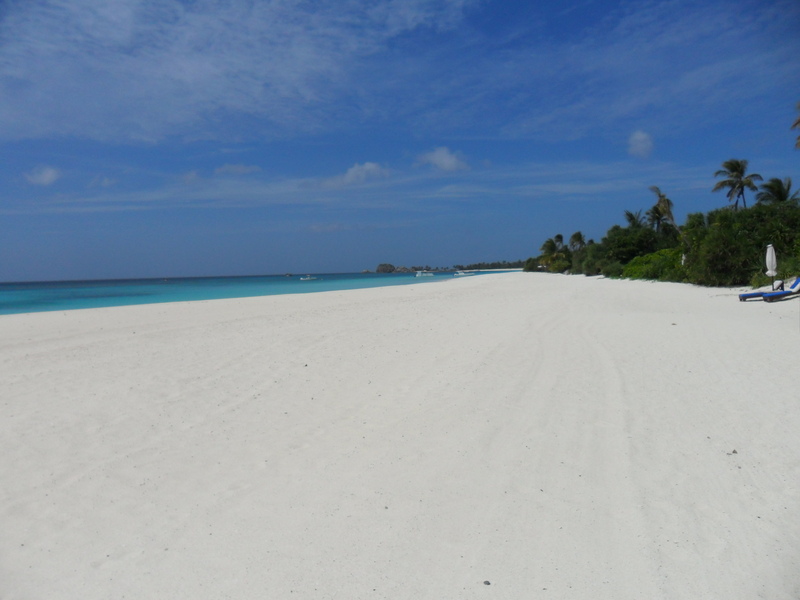 We spent some hours exploring the empty stretch of white sand beach as one of our garden workers in Amanpulo, a fisherman on his day off, delivered 3 kilos of red snapper right where we were on the sandbank. After the red snapper became lunch on board, we were off to Amanpulo. Perhaps one of the most exclusive resorts in the Philippines, they do not allow people to tour their property unless you were guests. By this whole stroke of serendipity, I was a “consultant” and knew the manager personally. We were allowed to visit but with sunset closing in, soon had to leave for yet another island to dock for the night. You can read more about Amanpulo in other sections of this blog. Our day ended in a tiny gap with a natural harbor in between the islands of Concepcion and Tayay, a small uninhabited sandbank. Some fishermen friends contacted by the Amanpulo crew, guided us in and gladly bought some ice for us. You really don’t know how valuable that is until you’ve been out at sea for four days. We were even lucky enough, it was the town fiesta and music was pumping all night. Not that I even noticed after such a long day, but it was good to wake up at 5am to the Black Eyed Peas’ “I’ve got a feeling….” before the long haul home. an 11 hour trip and we did not even reach Boracay! We were going against the wind and just could not go against nature. This time, we probably went for 6 hours with no sight of land. As what seemed to be a boring trip dragged on, we got the best treat of the journey. A family of over 30 dolphins swimming and playing with our boat for over 30 minutes. By now, I was imagining islands over the horizon and dreaming of cheeseburgers when I would doze off. 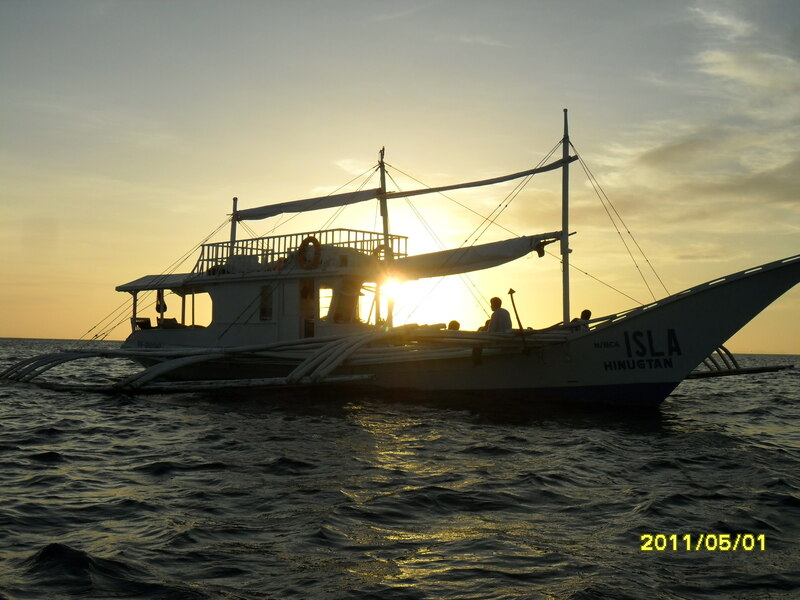 We ended up in the island of Sibay, Antique at sunset to spend another night at sea. No cheeseburgers there at all. Thank God for pasta! The thrill of a voyage is just as intense at departure as it is upon arrival. Never have I been so happy to see Boracay again. Five and a half days at sea, 10 islands and hundreds of kilometers. One awesome voyage. A shower never felt so good in my whole life. One for the books. Check it on the bucket list. As I parted with my friend Paolo, he gave me a good hug and bid me a safe trip home. I was off to Bacolod the next day and again scheduled for another trip 5 days later. Of all places, back to Amanpulo again to do some work. Sounds a little bit crazy but believe me, it is so much fun! I’ll even do it again! I have heard of this trip a thousand times, true. But now I’ve been there! Thank you for sharing such an experience in such a wonderful way! 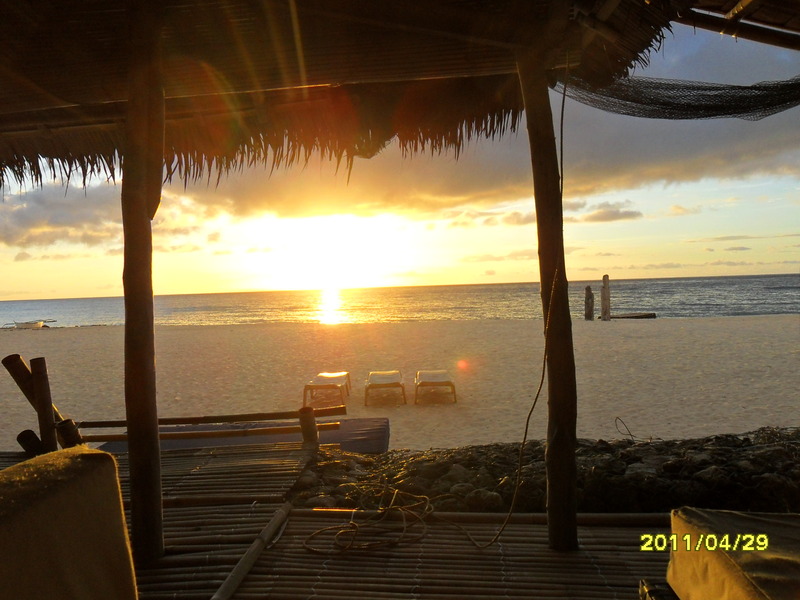 I was in Amanpulo last summer, blogged about it too. I saw Manamoc from my part of the beach but did not get a chance to cross over as the weather was not good. You mentioned about tending to a farm in Pamalican…whereabout in the island? I was not able to go around completely but someday I hope to go back and this time stay a little longer, at least more time to explore. Amanpulo’s farm is located on the road leading to the Vietnamese restaurant, so that would be the other side of the island from where your casita was located. 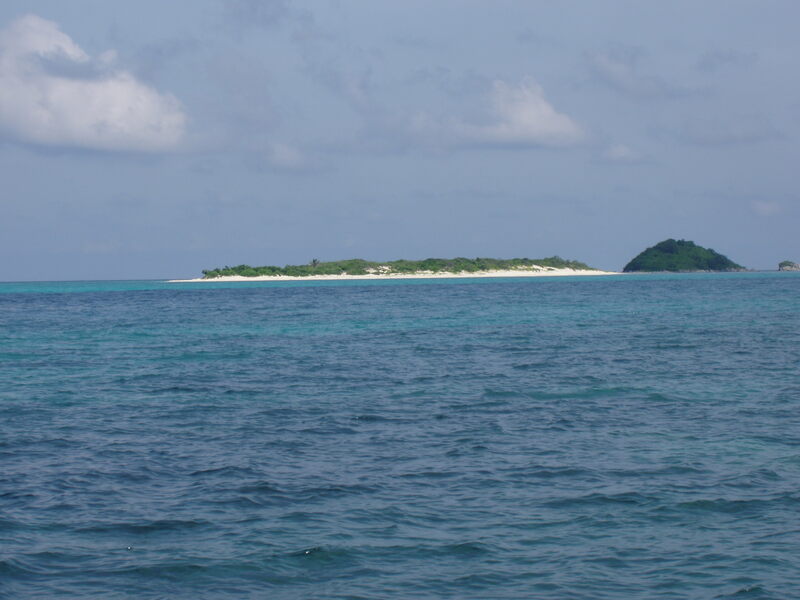 Manamoc is a beautiful island and most of Amanpulo’s employees are from this small island. I hope you get to visit the sand bar there on your next visit. I checked out your pictures and I remember passing this going to the Soriano’s private clubhouse. Am I right?